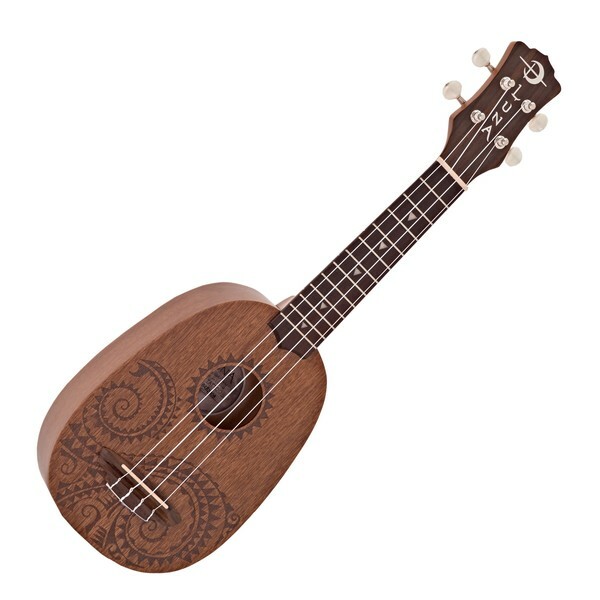 The Luna Tattoo Soprano Pineapple Ukulele combines a beautifully crafted mahogany body with a specially adapted version of Luna's popular tattoo artwork design for an eye-catching appearance and a classic ukulele sound. The Tattoo Soprano's all-mahogany construction produces a rich, warm, and resonant sound, as well as offering good projection and volume. Its pineapple body shape offers a unique look and projects a louder sound than the soprano shape, as well as being light and easy to carry around. 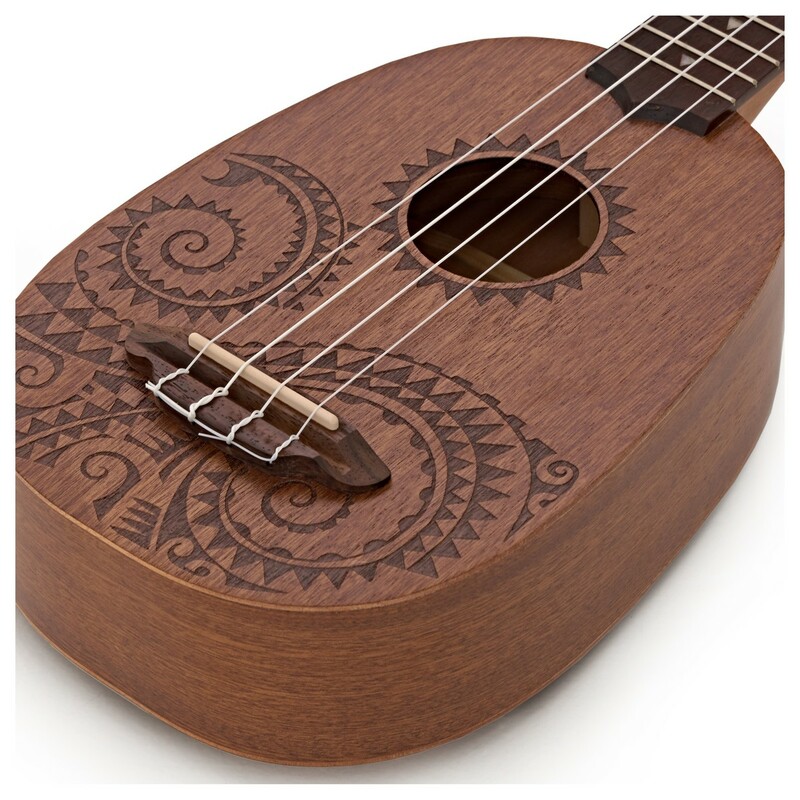 Finally, the Luna Tattoo Soprano Pineapple Ukulele is finished with laser etched tattoo design that takes its inspiration from traditional Hawaiian body ornamentation and mother of pearl shark teeth-inspired inlays that all represent the natural island world. 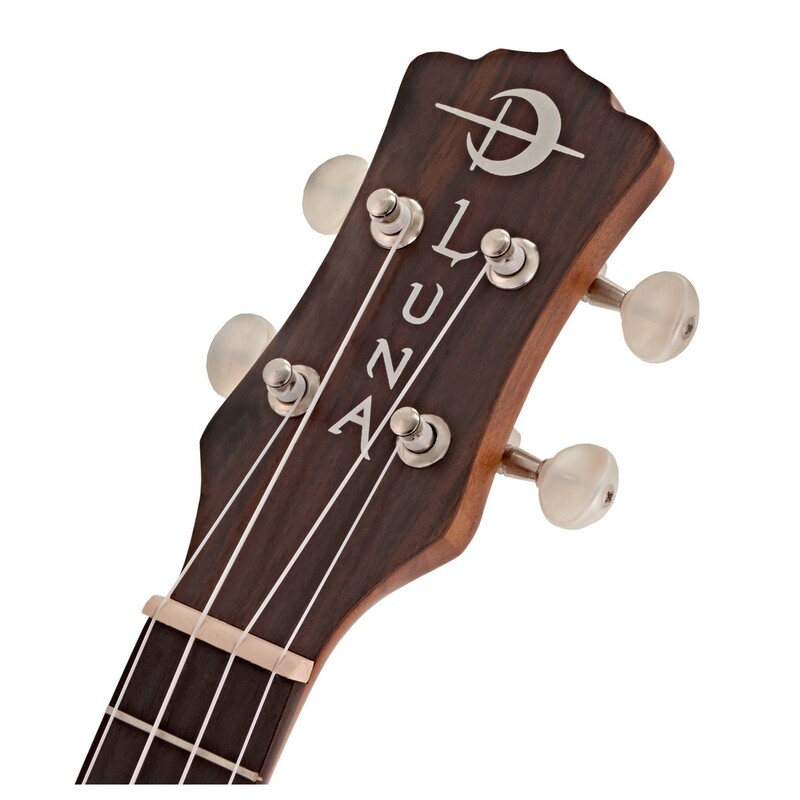 The Luna Tattoo Soprano is crafted entirely from mahogany, which produces plenty of treble tones and an incredibly rich warmth. 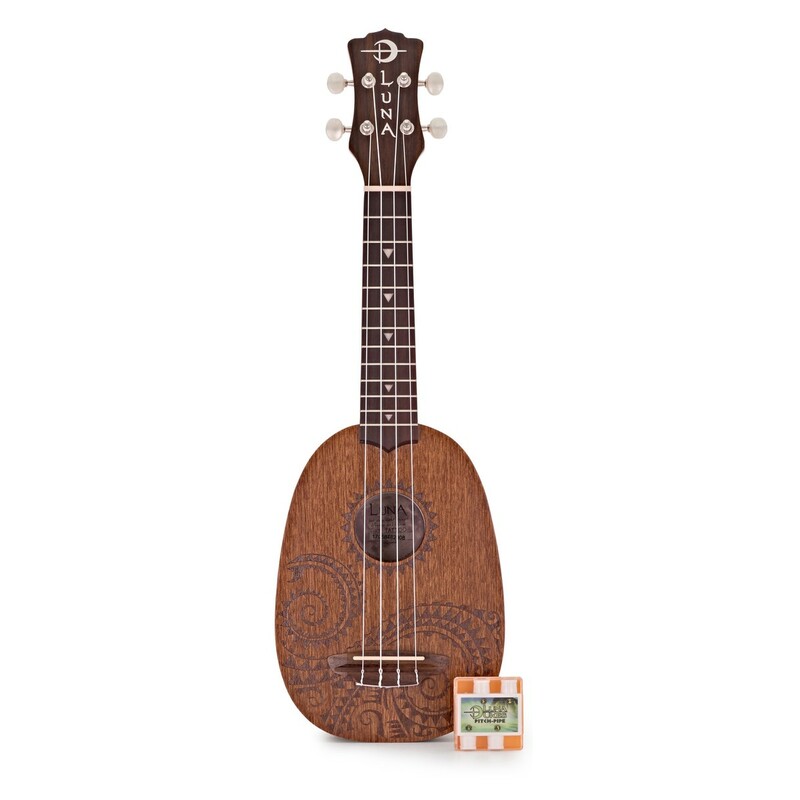 The mahogany body offers more volume, and a strong balance between high-end and bass, which enables this uke to retain classic ukulele tone. Its mahogany body also delivers a focused, punchy mid-range, thick well-defined tone, and sings sweet sparkling highs with plenty of characterised warmth. Mahogany is used a lot in the acoustic world, because it is relatively economical, durable, attractive, easy to work with, and resonant. Constructed from mahogany, the Pineapple's neck offers a strong and durable play whilst providing players with plenty of resonance. 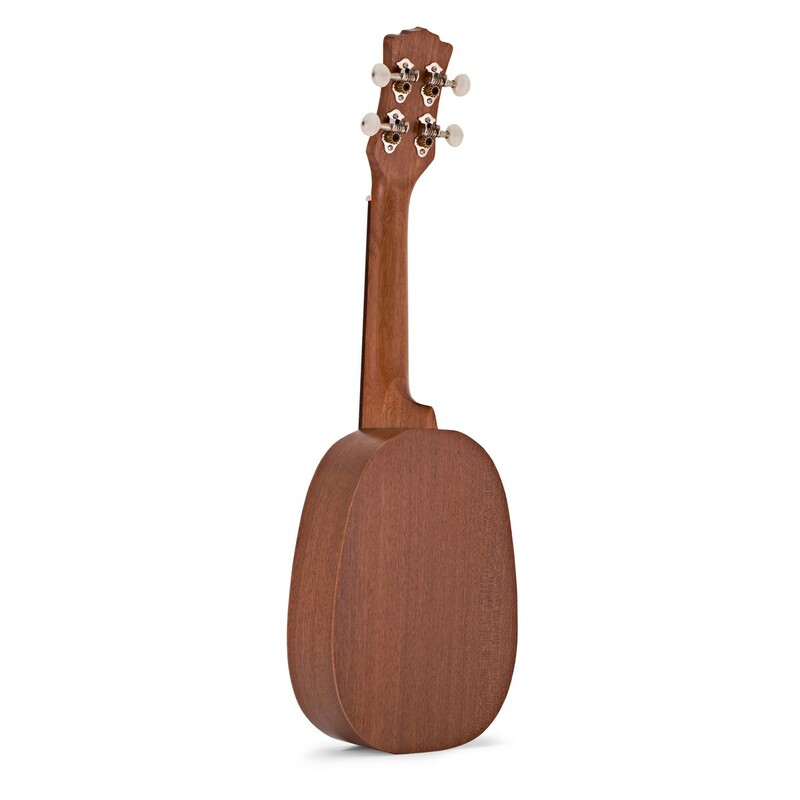 Many ukulele necks are made from mahogany because the wood responds greatly to picking, strumming, and various finger techniques with equal ease. The neck is topped with a rosewood fingerboard that delivers a bright, warm, sparkly sound that really shines through when using finger picking techniques. Its rosewood fingerboard also offers a smooth and energetic playing experience and is sprinkled with mother of pearl shark teeth inlays to enhance its natural island word design. 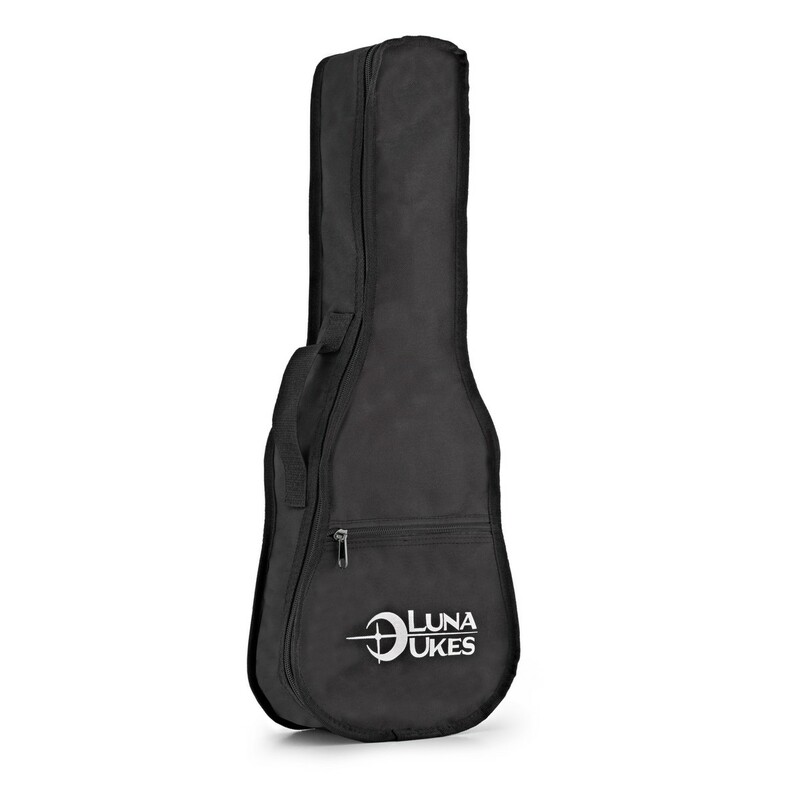 The Luna Tattoo features a soprano sized body, but with the pineapple shape instead of the standard figure of 8 shape. Its size provides a comfortable playing experience, even for beginners and younger players. The pineapple body shape delivers a extremely pleasing warmth and a rich sound quality that provides players with a traditional Hawaiian sound. Being light weight and easy to carry, the Tattoo Soprano is ideal for practicing anywhere, whether travelling or jamming with friends. The Luna Tattoo Pineapple takes its inspiration from traditional Hawaiian body ornamentation, these patterns consist of strong geometric shapes that represent the natural island world. Luna's Tattoo series are all based on the natural island world, the life within, spiritual meanings, and the geometric shapes that are inspired by stones, fish, waves, sharks, turtles, rain, sun, and birds. Finished in satin natural, with mother of pearl shark teeth inlays, and beautiful pearloid tuners, the Tattoo Soprano Pineapple has a stunning appearance to match its tonal character.